Windows 8 Adoption Rate Strong Amongst PC Gamers. It’s no secret that my preferred gaming platform is the PC and the platform I run on top of that is Microsoft Windows. Whilst OSX and Linux might be gaining more momentum as of late they’re still quite far behind in terms of support from major titles, with the indie scene being the catalyst that’s driving them forward. With the introduction of SteamOS though Valve signalled that they had lost confidence in the Windows platform to deliver the same gaming experience as it had done for decades previously, predominately due to the changes that came in with Windows 8 and the WinRT platform. This is where I and Gabe Newell start to disagree and if the latest numbers are anything to go by so do a good chunk of his customers. The Steam Hardware Survey is a monthly data collection that Valve does through Steam to give an overview of the current trends in PC gaming. The results are a great insight into what gamers are using to play their games and is a great source of information for developers and pundits alike. The December 2013 results show a trend that even I didn’t think would be possible: a staggering 20% of Steam’s user base is now on Windows 8 or 8.1 64 bit. Compared to wider PC adoption rates this is even more impressive as it’s less than half of that of Steam users. Whilst I wouldn’t go as far to say that these figures should change Gabe’s mind (and indeed I believe he should stay the course with SteamOS) it does call into question the reasoning behind his recent musings about Windows as a gaming platform. Another interesting titbit of information buried in the survey is that the fastest growing platform by far is Windows 8.1. Whilst it’s arguable that this is likely due to the improvements made in 8.1 (like the return of the start bar and the straight to desktop mode) I think it’s far more likely because this is the first Windows update that’s been made freely available to end users. Indeed it’s kind of hard to avoid upgrading to it as Windows will nag you every so often about it and since the update is completely non-destructive there’s really no barrier to getting the upgrade past a few hours. Still a raw increase of 2.5% of market share in a month is quite impressive and shows that Microsoft has done something right with its release. I think it’s clear that Windows is still a very viable platform for gaming, even with Microsoft’s big push for things to start going the WinRT way. I’ve always been of the stance that the traditional desktop isn’t going to go anywhere, even in the face of tablets and other touch devices taking a bigger slice of the market that PCs used to occupy, and it seems a good chunk of the gaming community agrees with that idea. I’m sure Microsoft is also keenly aware of how much revenue the gaming community brings to them and how much of that is due to Steam so it’d be very surprising to see them do anything to push them away from the Windows platform. One of the first ideas that an engineer in training is introduced to is the idea of modularity. This is the concept that every problem, no matter how big, can be broken down into a subset of smaller problems that are interlinked. The idea behind this is that you can design solutions specific to the problem space rather than trying to solve everything in one fell swoop, something that is guaranteed to be error prone and likely never to achieve its goals. Right after you’re introduced to that idea you’re also told that modularity done for its own sake can lead to the exact same problems so its use must be tempered with moderation. It’s this latter point that I think the designers of Phonebloks might be missing out on even though as a concept I really like the idea. For the uninitiated the idea is relatively simple: you buy yourself what equates to a motherboard which you can then plug various bits and pieces in to with one side being dedicated to a screen and the other dedicated to all the bits and pieces you’ve come to expect from a traditional smartphone. Essentially it’s taking the idea of being able to build your own PC and applying it to the smartphone market done in the hope of reducing electronic waste since you’ll only be upgrading parts of the phone rather than the whole device at a time. The lofty idea is that this will eventually become the platform for everyone and smartphone component makers will be lining up to build additional blocks for it. As someone who’s been building his own PCs for the better part of 3 decades now I think the idea that the base board, and by extension the interconnects it has on it, will never change is probably the largest fundamental flaw with Phonebloks. I’ve built many PCs with the latest CPU socket on them in the hopes that I could upgrade on the cheap at a later date only to find that, when it came time to upgrade, another newer and far superior socket was available. Whilst the Phonebloks board can likely be made to accommodate current requirements its inevitable that further down the track some component will require more connections or a higher bandwidth interface necessitating its replacement. Then, just as with all those PCs I bought, this will also necessitate re-buying all the additional components, essentially getting us into the same position as we are currently. This is not to mention the fact that hoping other manufacturers, ones that already have a strong presence in the smartphone industry, will build components for it is an endeavor that’s likely to be met with heavy resistance, if it’s not outright ignored. Whilst there are a couple companies that would be willing to sell various components (Sony with their EXMOR R sensor, ARM with their processor, etc.) they’re certainly not going to bother with the integration, something that would likely cost them much more than any profit they’d see from being on the platform. Indeed I think that’s the biggest issue that this platform faces. Whilst its admirable that they’re seeking to be the standard modular platform for smartphones the standardization in the PC industry did not come about overnight and took the collaboration of multiple large corporations to achieve. Without their support I’m struggling to see how this platform can get the diversity it needs to become viable and as far as I can tell the only backing they’ve got is from a bunch of people willing to tweet on their behalf. Fundamentally I like the idea as whilst I’m able to find a smartphone that suits the majority of my wants pretty easily there are always things I would like to trade in for others. 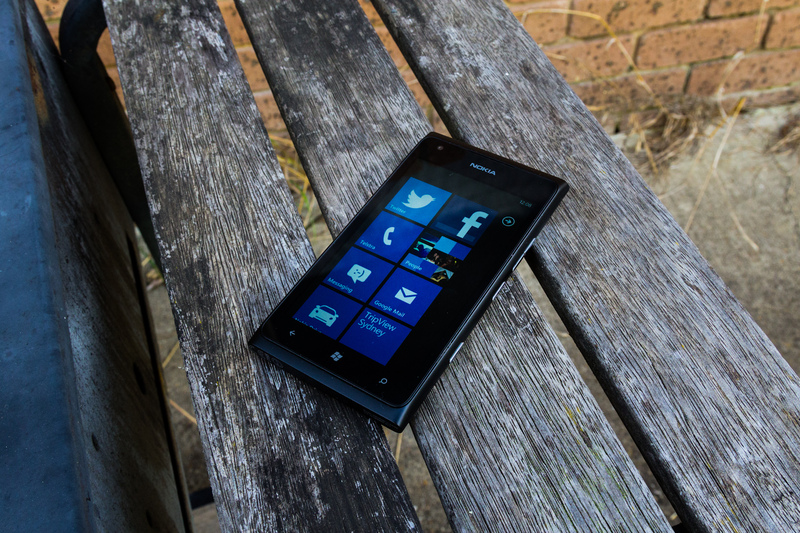 My current Xperia Z would be a lot better if the speakerphone wasn’t rubbish and the battery was capable of charging wirelessly and I’d happily shuffle around some of the other components in order to get my device just right. However I’m also aware of the giant integration challenge that such a modular platform would present and whilst they might be able to get a massive burst of publicity I’m skeptical that it will turn into a viable product platform. 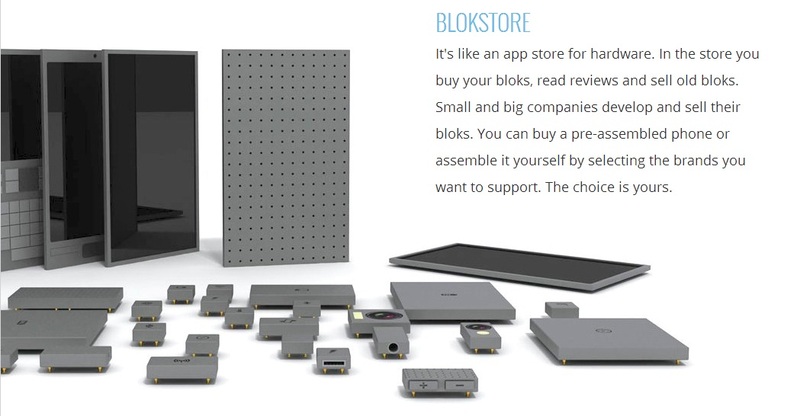 I’d love to be wrong on this though but as someone who’s seen many decades of modular platform development and the tribulations it entails I can’t say that I’m banking money for my first Phoneblok device. Getting Over The “Not My Kind of Photography” Barrier. My stance on phone based photography is pretty well known (some would go as far as to say infamous) and is probably one of the only issues that causes me significant cognitive dissonance on a regular basis. You see I’m not in the hard against camp where anything below a pro-level DSLR doesn’t count but nor am I fully vested in the idea that the simple act of taking pictures makes you a photographer. It’s a matter of personal opinion, of course, and I’m not going to make myself out to be the arbiter of what is and isn’t photography, especially when I firmly believe in the “Photography is 50% photographer, 40% light and 10% equipment” rule of thumb. Since the launch of the original iPhone and the arrival of the App Store, the differences between those photographs taken on a smartphone and those taken on regular digital cameras have become far less apparent. Not because the phone cameras are getting better (despite the ever-improving optics, sensors, and software on smartphones, there’s still a huge difference in quality between an iPhone camera and a Canon 5D Mark III), but because of where photographs are being viewed. The vast majority of imagery is now seen in the exact same places: on smartphones and tablets, via apps such as Pinterest, Facebook, Google+, Flipboard and most importantly, Instagram. At 1024 x 1024 pixels, who can really tell whether a photo was taken on an iPhone or a Canon 5D? More to the point, who cares? There’s a lot in Bareham’s post that I agree with, especially when it comes to the way most photographs are consumed these days. It’s rare now to see pictures materialize themselves in a physical medium or even at a scale where the differences between photographic platforms starts to become apparent. Indeed even I, the unabashed Canon DSLR fanboy, still has none of his work on display in his own house, preferring to show people my pictures on their laptop or other Internet connected device. Indeed many pictures I love on my phone often fail to impress me later when I view them on a larger screen although that’s probably more due to my perfectionist ways more than anything else. Still I’m not convinced that the introduction of the iPhone, or any camera phone really for that matter really (I had a camera phone for a good 4 years by that point), changed everything about photography. Sure it made it more accessible thanks to its integration into a platform that nearly everyone has but it hadn’t really been out of reach for quite some time. Indeed many people had said similar things about the consumer level 35mm cameras back when they were first introduced and whilst the camera phones provided an added level of immediacy it’s not like that wasn’t available with the cheap digital point and shoots before it. Indeed the act simply became more public once the apps on our phones allowed us to share those photos much quicker than we could before. Thinking it over a bit more it’s actually quite shocking to see how my journey into photography is the inverse of Bareham’s. I had had these easy to use and share cameras for ages thanks to my love of all things technological but that creative spark simply never took hold. That all changed when I got my first DSLR and I began to learn about the technical aspects of photography; suddenly a whole new world had opened up to me that I hadn’t known about. I felt compelled to share my images with everyone and I started seeking out photographic subjects that weren’t my friends at parties or the sunset from my front porch. It has then graduated into what I do today, something that’s weaved its way into all aspects of my life regardless of what I’m doing. Perhaps then the technology is simply a catalyst for the realisation of a subconscious desire, something that we want to achieve but have no idea how to accomplish in our current mindset. We all have our favourite platforms on which we create, ones that we’ll always gravitate back to over time, and for many people that has become their phones. I no longer begrudge them, indeed I’ve come to realise that nearly every criticism I’ve levelled at them can be just as easily aimed at any other creative endeavour, but nor do I believe they’re the revolution that some claim them to be. We’re simply in the latest cycle of technologically fueled progress that’s been a key part of photography for the past century, one that I’m very glad to be a part of. Three Screens Begins With Windows 8 and Xbox Live Arcade. In the middle of last year I commented on some rumours that were circling around the Internet about how Xbox Live was coming to Windows 8 and along with it the ability to play some Xbox titles. The idea would have seemed to come out of left field for a lot of people as there’s no real incentive to enable such functionality (especially considering just how damn hard it would be to emulate the Xbox processor) but considering it alongside the Three Screens and a cloud idea it was just another step along the platform unification path. Since then however I hadn’t seen much more movement on the idea and instead figured that eventually everything would be united under the WinRT platform and was waiting to see an announcement to that effect. As it turns out Microsoft are actually bringing several Xbox titles to Windows 8 next month. The lion’s share of the titles that will be released on the Windows 8 platform are from Microsoft Studios with a couple big name developers like Rovio and Gameloft joining in the party. All of the first wave of titles will be playable on any Windows 8 platform and a few of them (most notably the relatively simple titles like Solitaire and some word games) will stretch onto Windows Phone 8 with things like resuming games that you started on another platform. Looking at the list of titles I can’t help but notice the common thread among them and I’m not quite sure to make of it. For many of the third party titles its quite obvious that their release on Windows 8 (ostensibly on WinRT) is just yet another platform for them to have their product on. Angry Birds, for instance, seems to make it a point of pride that they’re on pretty much every platform imaginable and the fact that they’re on Windows 8 really shouldn’t come as much of a surprise. Indeed quite a lot of them are already multi-platform titles that cut their teeth on one mobile platform or another and realistically their move onto the Xbox (and from there to Windows 8) will just be another string in their bow. I guess what I’m getting at is that many of these titles already had the hard work of getting ports working done for them and it’s less indicative of how flexible the underlying WinRT platform really is. Indeed the most innovative uses of WinRT come from the first party Microsoft titles which, whilst being unfortunately bland, do show what a truly agnostic application is capable of. They all feature a pause/resume function that works across platforms, ability to work with both touch interfaces as well as traditional mouse and keyboards and lastly some of them feature cross platform competitive play. It’s unfortunate that the third party developers didn’t look to take advantage of these capabilities but I can understand why they didn’t for these first wave of games; the investment would be too high for the potential pay off. What I think really needs to be done is to bring the WinRT platform to the Xbox360 via a system update. Whilst its all well and good to have some Xbox titles ported to Windows 8 its really only a stopgap solution to bringing a unified platform to all of the three screens. Right now the only platform that’s lacking some form WinRT is the TV screen and that could be remedied via the Xbox. Whether that comes in the current generation or in Durango though will have to remain to be seen but it would be a great misstep from Microsoft to ignore the fact that the final piece of the puzzle is WinRT in the living room. Microsoft really is onto something with the unified experience between all their available platforms and they’re really not that far off achieving it. Whilst it will take a while for third party developers to come out with apps that take advantage of the platform the sooner that it’s available across all three screens the sooner those apps will come. This first wave of games from Xbox live gives us a tantalizing little glance of what an unified platform could bring to us and hopefully subsequent waves take inspiration from what Microsoft has been able to do and integrate that into future releases. One of my most hotly anticipated games for this year, and I know I’m not alone in this, will be Blizzard’s Diablo III. I can remember the days of the original Diablo, forging my way down into the bowels of the abandoned church and almost leaping out of my chair when the butcher growled “Aaaahhh, fresh meat!” when I grew close to him. I then went online, firing up my 33K modem (yes, that’s all I had back then) and hitting up the then fledgling Battle.Net only to be overwhelmed by other players who gifted me with unimaginable loot. I even went as far as to buy the only official expansion, Hellfire, and play that to its fullest revelling in the extended Diablo universe. Diablo II was a completely different experience, one that was far more social for me than its predecessor. I can remember many LANs dedicated to simply creating new characters and seeing how far we could get with them before we got bored. The captivation was turned up to a whole new level however with many of us running dungeons continuously in order to get that last set item or hoping for that extremely rare drop. The expansion pack served to keep us playing for many years after the games release and I still have friends telling me of how they’ve spun it back up again just for the sheer thrill of it. Amongst all this is one constant: the torturous strain that we put on our poor computer mice. The Diablo series can be played almost entirely using the mouse thanks to the way the game was designed, although you do still need the keyboard especially at higher difficulties. In that regard it seemed like the Diablo series was destined to PC and PC only forever more. Indeed even though Blizzard had experimented with the wild idea of putting StarCraft on the Nintendo64 they did not attempt the same thing with the Diablo series. That is up until now. Today there are multiple sources reporting that Diablo III will indeed be coming to consoles. As Kotaku points out the writing has been on the wall for quite some time about this but today is the day when everyone has started to pay attention to the idea. Now I don’t think there’s anything about the Diablo gameplay that would prevent it from being good on a console, as opposed to StarCraft (which would be unplayable, as is any RTS on a console). Indeed the simple interface of Diablo’s past would easily lend itself well to the limited input space of the controller with few UI changes needed. What concerns most people though is the possibility that Diablo III could become consolized, ruining the experience for PC gamers. Considering that we’re already got a beta version of Diablo III on PC it’s a safe bet that the primary platform will be the PC. Blizzard also has a staunch commitment to not launching games until their done and you can bet that if there were any hints of consolization in one of their flagship titles it’d be picked up in beta testing long before it became a retail product. Diablo III coming to consoles is a sign of the times that PC gaming is still somewhat of a minority and even titles that have their roots firmly in the PC platform still need to consider a cross platform release. Does this mean I’ll play Diablo III on one of my consoles? I must say that I’m definitely curious but I’ve already put in my pre-order for the collector’s edition of Diablo III on the PC. Due to the tie in with Battle.Net it’s entirely possible that buying it on one platform will gain you access to another via a digital download (something Blizzard has embraced wholeheartedly) and I can definitely see myself trying it out just for comparison. For me though the PC platform will always be my primary means by which I game and I can’t deny my mouse the torturous joy that comes from a good old fashioned Diablo session. PC Gaming: Retaking The Crown? Make no mistake, in the world of gaming PCs are far from being the top platform. The reasoning behind this is simple, consoles are simply easier and have a much longer life than your traditional PC making them a far more attractive platform for both gamers and developers a like. This has lead to the consolization of the PC games market ensuring that many games are developed primarily for the console first and the PC becomes something of a second class citizen, which did have some benefits (however limited they might be). The platform is long from forgotten however with it still managing to capture a very respectable share of the games market and still remaining the platform of choice for many eSports titles. As of 2008, boxed copies of games had paltry sales compared to digital sales, and nothing at all looks to change. During 2011, nearly $15 billion is going to be attributed to digital sales while $2.5 billion belong to boxed copies. This is a trend I have to admit I am not surprised by. I’ll never purchase another boxed copy if I can help it. The death of PC gaming has long been a mocking-point of console gamers, but recent trends show that the PC has nothing to stress over. One such trend is free-to-play, where games are inherently free, but support paid-services such as purchasing in-game items. This has proven wildly successful, and has even caused the odd MMORPG to get rid of it subscription fee. It’s also caused a lot of games to be developed with the F2P mechanic decided from the get-go. The research comes out of DFC Intelligence and NVIDIA was the one who’s been spruiking it as the renaissance of PC gaming. The past couple years do show a trend for PC games sales to continue growing despite console dominance but the prediction starts to get a little hairy when it starts to predict the decline of console sales next year when there doesn’t seem to be any evidence of it. The growth in the PC sales is also strikingly linear leading me to believe that it’s heavily speculation based. Still it’s an interesting notion to toy with, so let’s have a look at what could (and could not) be driving these predictions. For starters the data does not include mobile platforms like smart phones and tablets which for the sake of comparison is good as they’re not really on the same level as consoles or PCs. Sure they’ve also seen explosive growth in the past couple years but it’s still a nascent platform for gaming and drawing conclusions based on the small amounts of data available would give you wildly different results based purely on your interpretation. A big driver behind these numbers would be the surge in the number of free to play, micro-transaction based games that have been entering the market. Players of these types of games will usually spend over and above the usual amount they would on a similar game that had a one off cost. As time goes on there will be more of these kinds of titles that appeal to a wider gamer audience thereby increasing the revenue of PC games considerably. Long time gamers like me might not like having to fork out for parts of the game but you’d be hard pressed to argue that it isn’t a successful business model. Another factor could be that the current console generation is getting somewhat long in the tooth. 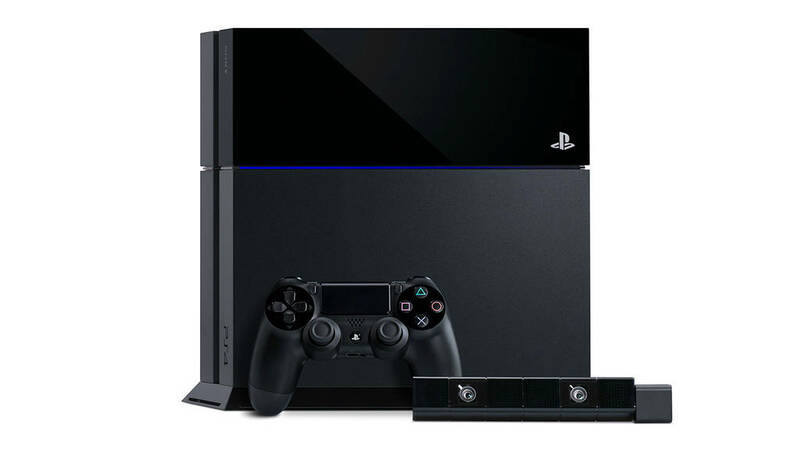 The Xbox360 and PlayStation 3 were both launched some 5 to 6 years ago and whilst the hardware has performed admirably in the past the disparity between what PCs and consoles are capable of is hard to ignore. With neither Microsoft nor Sony mentioning any details on their upcoming successors to the current generation (nor if they’re actually working on them) this could see some gamers abandon their consoles for the more capable PC platforms. Considering even your run of the mill PC is now capable of playing games beyond the console level it wouldn’t be surprising to see gamers make the change. 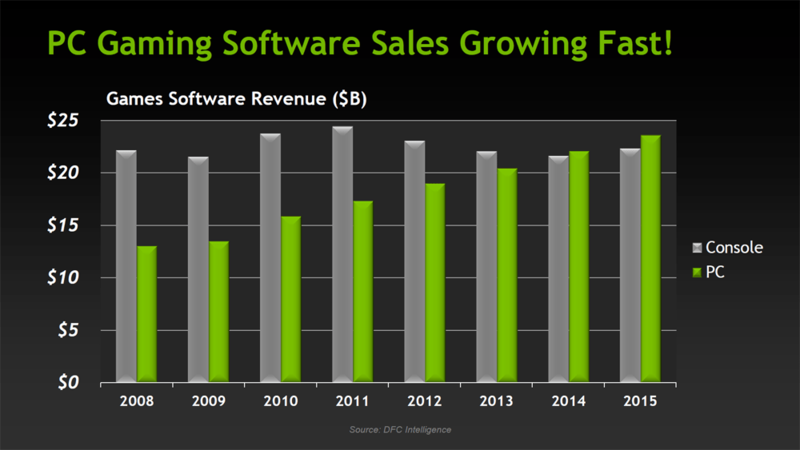 What sales figures don’t tell us however is what the platform of choice will be for developers to release on. Whilst the PC industry as a whole might be more profitable than consoles that doesn’t necessarily mean it will be more profitable for everyone. Indeed titles like Call of Duty and Battlefield have found their homes firmly on the console market with PCs being the niche. The opposite is true for many of the online free to play games that have yet to make a successful transition onto the console platform. It’s quite possible that these sales figures will just mean an increase in a particular section of the PC market while the rest remain the same. Honestly though I don’t think it really matters either way as game developers have now shown that it’s entirely possible to have a multi-platform release that doesn’t make any compromises. Consolization then will just be a blip in the long history of gaming, a relic of the past that we won’t see repeated again. The dominant platform of the day will come and go as it has done so throughout the history of gaming but what really matters is the experience which each of them can provide. As its looking right now all of them are equally capable when placed in the hands of good developers and whilst these sales projections predict the return of the PC as the king platform in the end it’ll be nothing more than bragging rights for us long time gamers.